African Violets: Why So Popular? The plants generally flower the year round, giving an almost continuous display of blooms. They require the same temperatures humans find comfortable, making them easy to raise in our homes. African violets do not require constant care and repotting, but they do thrive when given modest amounts of attention. New plants are easily raised from leaf cuttings, making them readily available to exchange with friends and neighbors. 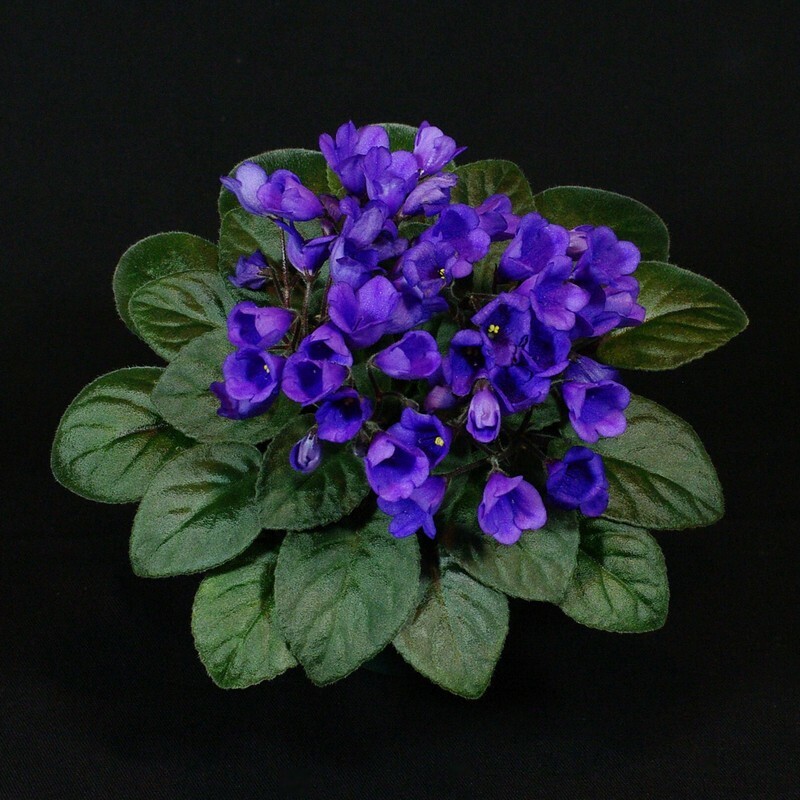 African violets are available in a wide range of colors, sizes and types, making them appealing to the eye and to the collector. In short, few plants have so many positive characteristics for a successful partnership with humans; fewer still have enjoyed the African violet’s immense popularity and success. Saintpaulia ‘Optimara Annabelle’ is one of the many easy-to-grow cultivars produced and widely distributed by Optimara. African Violets or African Primroses? What Species Names Should I Use? African Violets: Variety is Beautiful!